Home » White Gold Diamond Bow Pendant. White Gold Diamond Bow Pendant. 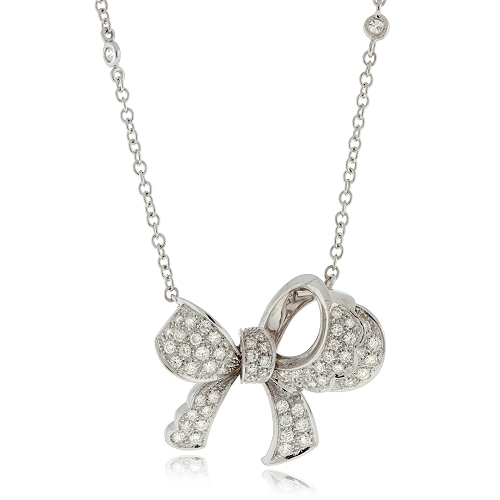 Charming bow necklace encrusted with white brilliant diamonds and set in 18kt white gold. 16" diamonds by the yard chain. Diamonds approx 1.44 ct .